Spring has well and truly sprung here in St. Senan's with the arrival of seven beautiful baby chicks. There was great excitement this week waiting for the "pip", then the "zip" and finally the newborn chick! ​Click here to view the school calendar. Scroll to the bottom of this page for up coming events. Kilrush is first town to introduce the One Tree Per Child project in Ireland. Each child is given the opportunity to plant a tree during their time in primary school. 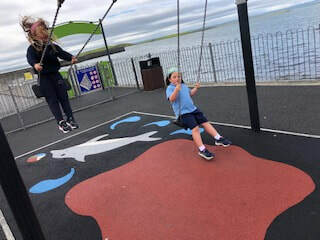 In 2017, 376 trees were planted by all children attending primary school in Kilrush and in 2018, 66 trees were planted by new pupils. This is the 3rd year of this event and 50+ native trees were planted by all children who were newly enrolled in in September 2019. As the children grow their trees will grow with them. Early March was chosen as the planting date as it is the recommended time to plant trees. 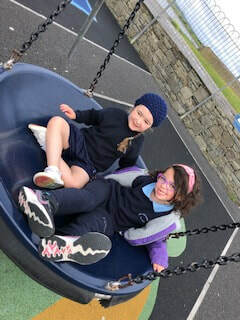 Our Junior Infant, Senior Infant and First Class pupils enjoyed planted their own wildflower garden in Maina Park on March 28th. We were privileged that Paul from Kilrush Tidy Towns invited us to participate in this initiative. ​Each child planted their own seed bomb and hopefully there will be lots of wild flowers growing for years to come. This experience enabled the children to develop their Numeracy, Literacy , SESE and SPHE skills. It was a beautiful day which enhanced the children's experience. RTE and Nationwide visited Kilrush on March 16th to meet up with The Tidy Towns Committee . Many of our children who were involved in 'One Tree For One Child', The River Walk and the The Visit to the Marina together with the Tidy Towns Committee will feature on Nationwide on Wednesday March 20th. Comhghairdeas do gach duine a bhí páirteach i Seachtain na Gaeilge. 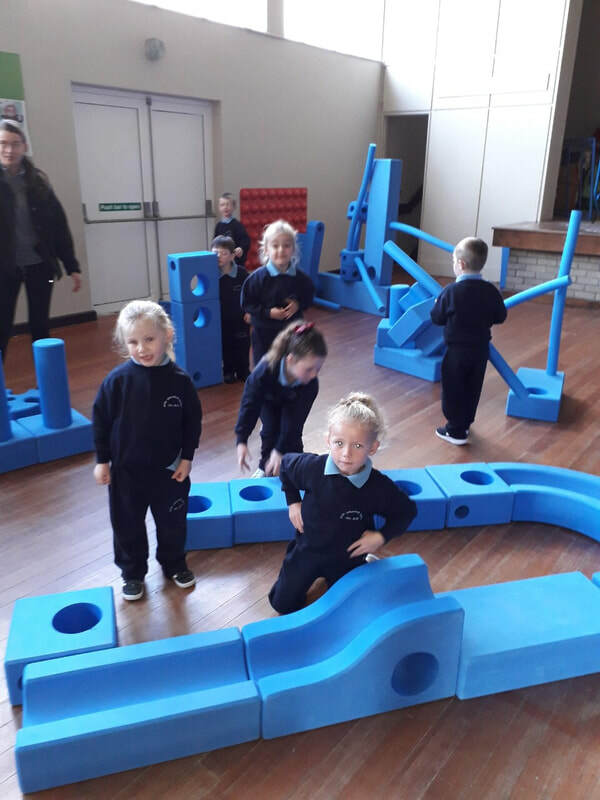 Bhí seachtain iontach againn sa scoil agus bhaineamar go léir taithneamh as. A number of sixth class children attended a Creative Writing Workshop in the Library on March 6th. 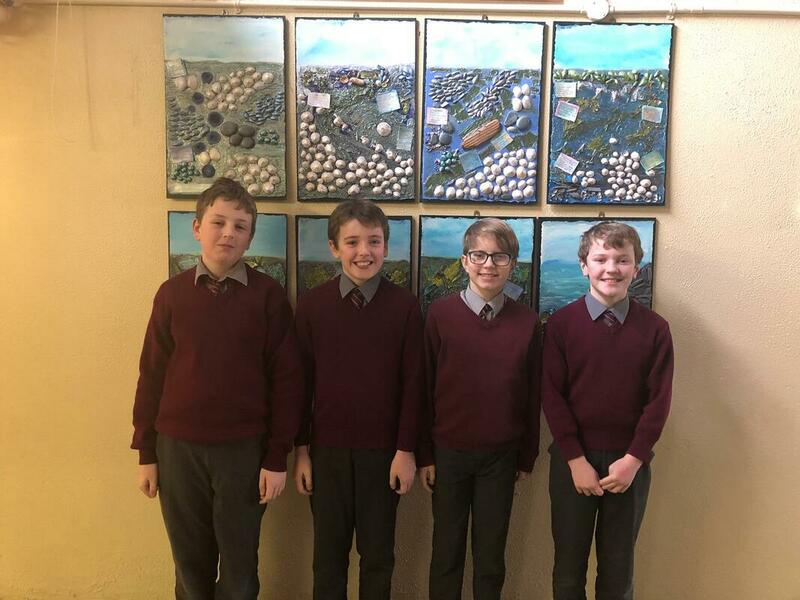 On Wednesday March 6th our Debaing Team were successful in the quarter finals of the Clare Schools Debating Competition. The motion was 'Every home should have a pet'. Our team were opposing the motion. 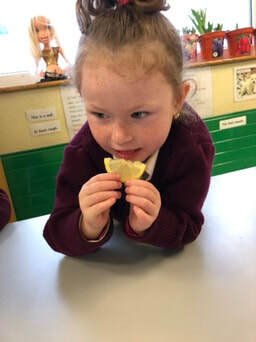 Pancake Tuesday was very busy in St. Senan's with all classes making pancakes . Congratulations to all our quiz teams who represented our school so well in the annual Credit Union quiz which took place in Kilrush. Special congratulations to both our Under 13 quiz teams who won first and second place in the competition. They will now go to represent us in the next round of the quiz in Limerick. Grandparents' Day was celebrated on Wednesday January 30th. A big number of grandparents attended the celebration which included a prayer service, dancing , tea and cakes. 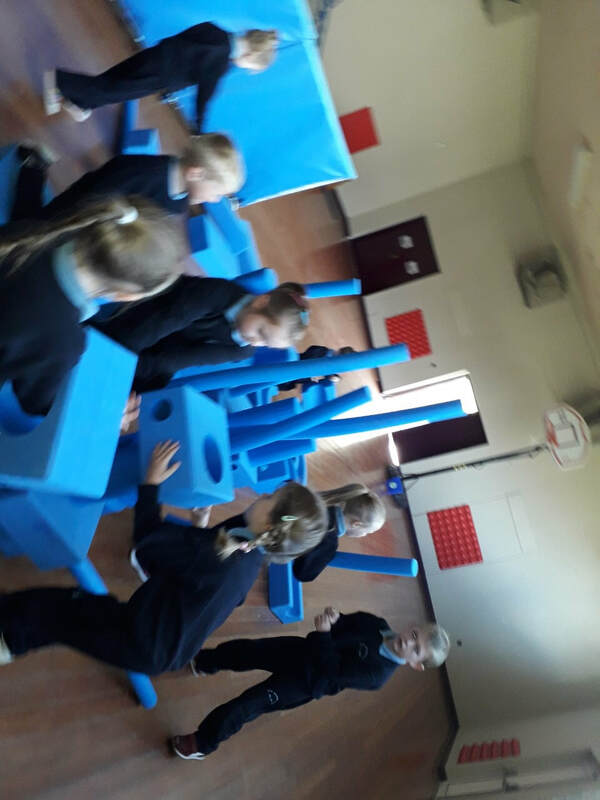 Fifth class students are presently attending swimming classes every Friday in Ennis for a period of 6 weeks. Lunch time football league is on going at the moment for all the children in 5th and 6th classes. Pancake Shake (1) from St. Senan's Primary School on Vimeo. Chair Aerobics from St. Senan's Primary School on Vimeo. Chair Aerobics For Your Tables!! 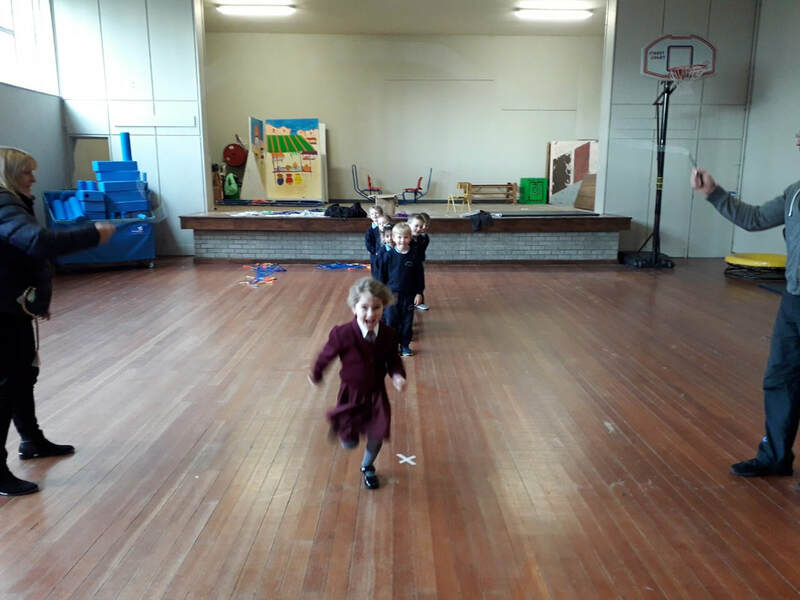 Cross Country Athletics: Well done once again to some of our wonderful athletes who took part so successfully in the All Ireland Cross Country Championships in Navan on Saturday December 15th. Congratulations to Brian Wallace (5th ) Gemma Galvin ( 6th ) , Sarah Wallace, Aisling Crowe, Jack Johnson, Eoin Soffee. First Reconciliation: Congratulations to all the boys and girls in second class who made their First Reconciliation on Wednesday November 28th. Congratualtions to Gemma Galvin and Brian Wallace who were presented with track suits by Michael Lillis on Friday November 30th for coming in first place in their respective cross country races in The Clare Schools Cross Country Event in Lees Road. Confirmation Enrollment: Congratulations to all the children in sixth class who were enrolled for their Confirmation on Thursday December 13th. Christmas Concert: Congratulations to all the boys and girls and to all who were involved in our fantastic Christmas Concert. The concert items may be viewed on the website. see above for details. BizWorld Ireland is a not-for-profit organisation that promotes entrepreneurship skills for young people. 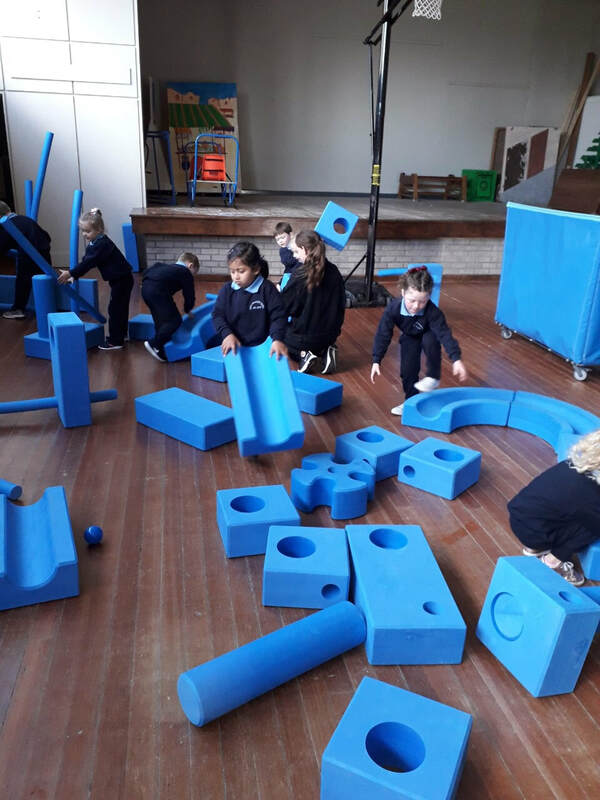 Workshops are delivered in primary schools nationwide, where pupils learn about money management and enterprise in fun and creative ways. The children in 5th class created their business plans, designed a logo and began devising a marketing strategy. Our school was represented by Darragh, James, Darren, Alan, Bobby & Michael on Friday 22nd September where they got to do business with Marty Morrissey. Congratulations to our cross country running teams for their success once again on winning the West Clare Cross Country Championship competition on Monday September 24th, 2018. Huge thanks to Met Eireann / RTE and Tullycrine's finest meteorologist Michelle Dillon for teaching us all about weather. Both the children and the teachers learned a lot about the subject of the weather from Michelle,. Go raibh míle maith agat Michelle. 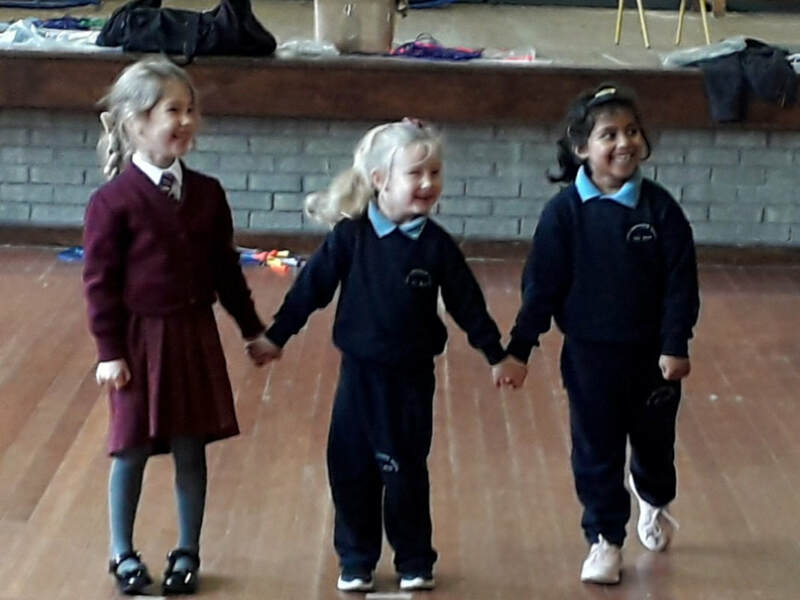 3rd and 4th class Hollywood stars present you with a short and sweet mini movie with a powerful message about friendship, inclusiveness and taking care of one another. 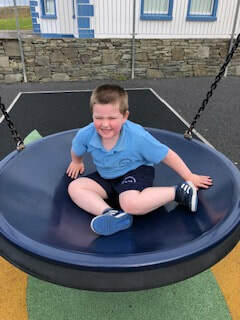 Sometimes all you need is someone to take you by the hand..
Clare My Heart My Home from St. Senan's Primary School on Vimeo. 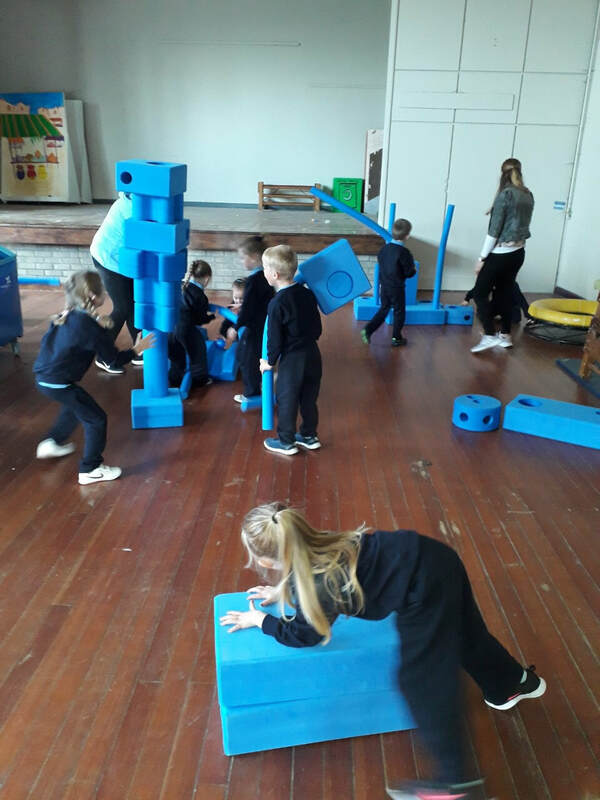 The JESSIES is a project being held in Primary Schools throughout County Clare which encourages the holistic development of the children and which benefits them personally and educationally. The ability to work as part of a group, the capacity to show flexibility to achieve ones goals and the drive to give of your best for the team are qualities which will serve the children well throughout their lives. The sponsors of the JESSIES strongly believe that the spirit of an entrepreneur lies in the hearts and minds of every child. Through the JESSIES project children are given the opportunity to identify and unlock their entrepreneurial skills. On Wednesday March 14th our 6th class had 8 amazing business ideas to present in front of the Dragons. The ideas included: Home Made Candles, Stress Balls, Piggy Bank Jars, Scrabble Frames, Pom-Poms, Jewelery, Wild Atlantic Way Pins and cards with Rice Crispie Buns. Each group presented their idea, giving an outline of the project, costs, marketing, manufacturing and time involved. After much deliberating the dragons hard a hard decision to make but they eventually decided on two of the projects. They are 1. The Piggy Bank jars. 2. The Stress Balls. The JESSIES Showcase day is on April 26th and here are some photos of the products that will be on display. 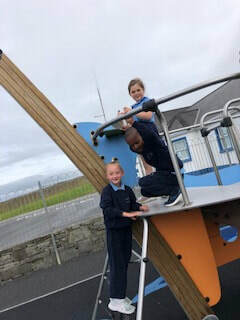 St. Senan’s Primary School is a co-educational Catholic primary school catering for pupils from Junior Infants to 6th Class. We also have a Multiple Disabilities Special Class and an A.S.D. Unit which greatly enhance our school community.We strive to help each individual pupil achieve his/her full potential academically, socially and personally. 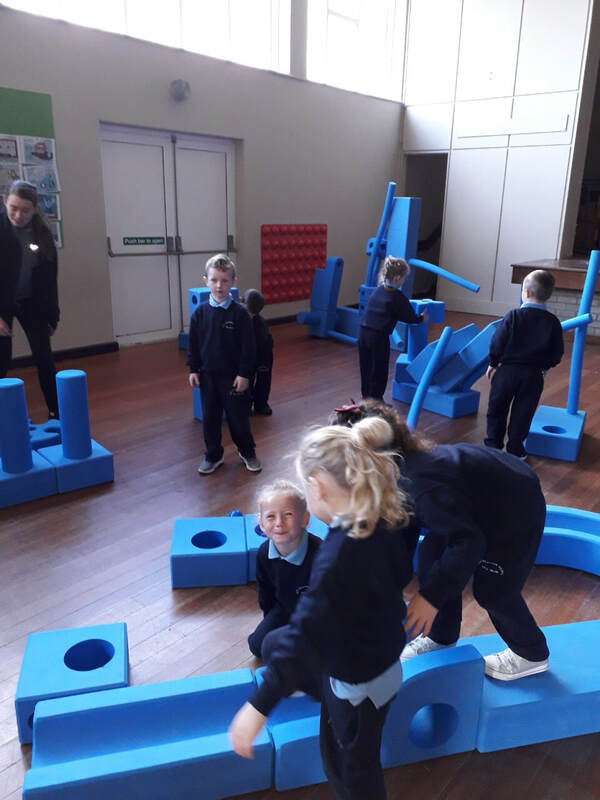 Pupils in St. Senan’s participate in a wide variety of educational programmes aimed at improving Literacy and Numeracy standards throughout the school.St. 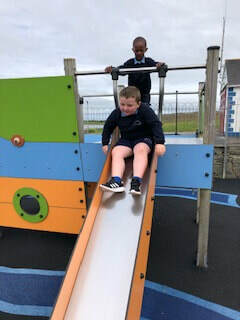 Senan's has a strong tradition of participation in various sporting activities and has achieved much success down through the years. In addition to these excellent educational and sporting activities we also provide numerous extra-curricular activities. 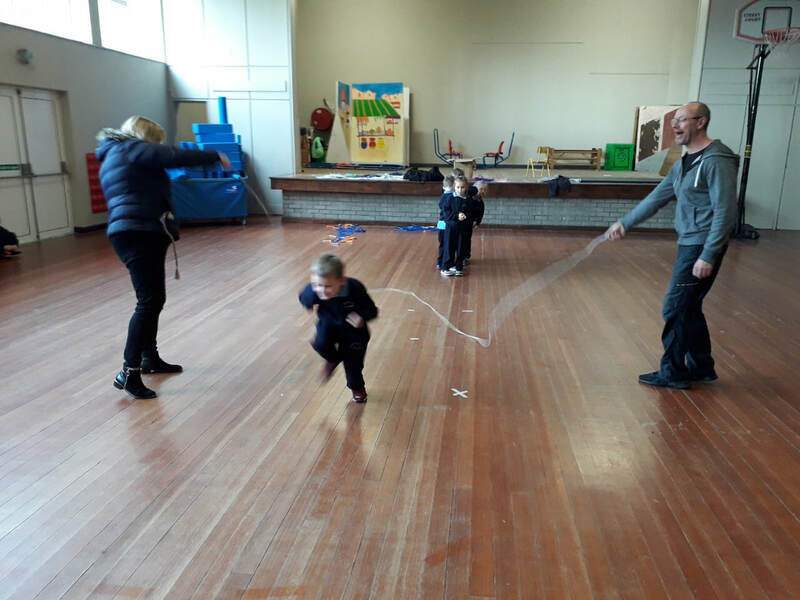 Parents in St. Senan’s are very supportive of the work of the school and actively participate in school events. We greatly value the importance of school and ho me working together for the benefit of the entire school community. It is with great pleasure that we welcome you to our website. We hope you enjoy reading through it and find it informative and helpful in keeping you updated on school matters.